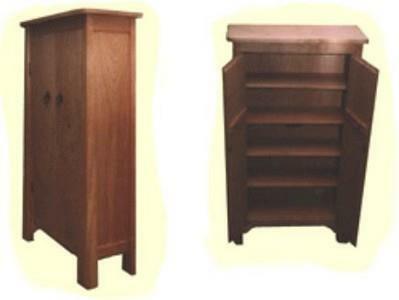 Choose from the many free CD and DVD cabinet plans and storage plans below. 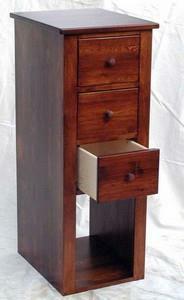 Here is a mission style cabinet which can form part of the core furnishings in a living room. The design features of this DVD cabinet are three drawers to hold DVD's and a large open space in the bottom to hold the sub woofer for a sound system. 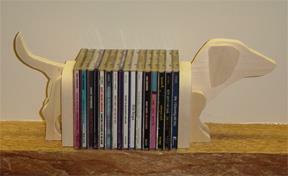 This little Dachshund makes a great CD Holder and is not only easy to build, its also fun! This shelf case is designed specifically for DVD's but you can alter the dimensions and basic design to suit whatever you want it to hold.